For centuries, the skill and patience of the woodcarver have been much admired and in the 21st century, that skill is no less evident. Here in Hampshire, there are several well-known professional carvers, but there are also groups of friendly, enthusiastic men and women who meet and carve together to enjoy their hobby. Waterside Woodcarvers is one such group, which takes its name from the area where the New Forest meets the western edge of Southampton Water. It was formed back in 1983, when a group of night school students decided to take the craft a stage further and now the group has about 25 members with abilities ranging from complete beginners to highly skilled carvers. We used to call ourselves the 'Waterside Guild of Woodcarvers', but felt the word 'Guild' implied an exclusivity that might be off-putting to a potential recruit. 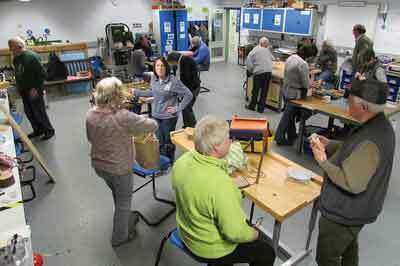 We meet fortnightly at Oak Lodge School, with its fully equipped workshop and all the necessary tools and enough experience within the group to encourage the most timid of beginners. 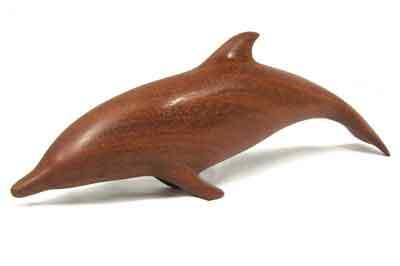 The beginner's piece is usually a half dolphin, which is given to the novice as a bandsawn blank for them to finish under the guidance of the more experienced members. We hold a monthly social meeting, where the members are pleased to hear speakers on crafts, travel, natural history and general interest - many of which are illustrated with film or slides. We have a small portable shop selling sundries like abrasives, polish and second-hand tools and we produce a quarterly newsletter reporting on our recent activities and future events. To provide inspiration, we keep a large collection of old copies of Woodcarving magazine. Occasional 'carve-in Saturdays' involve practical work in the morning, followed by a fish 'n' chip lunch with a speaker or social event in the afternoon. Exhibitions, large and small are staged annually. 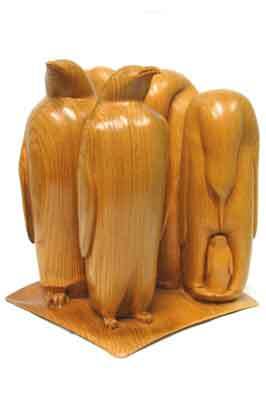 This year the main venue was St Thomas's Church Hall, High Street, Lymington on Saturday 23 August for our annual exhibition, which we proudly boast as being 'probably the largest exhibition of woodcarvings on the south coast this year'. 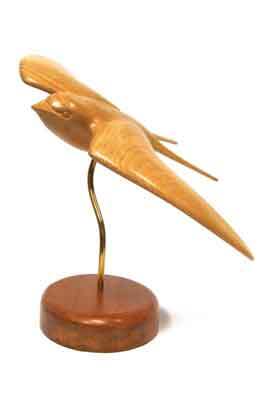 To this, we invited other guest groups, including Oaklands - who were featured in Woodcarving magazine about a year ago. We have been running this exhibition for many years and the star of the show used to be a carver named Jean Gordon, who turned to carving at the tender age of 70; she produced the most detailed and exquisite figurines and was published in many magazines over the years, but she sadly passed away recently, at the age of 96, which goes to show that you are never too old to learn. In the late '90s, the nation was flooded with suggestions for millennium projects, the Waterside Woodcarvers being no exception. Ours was one that actually came to fruition. 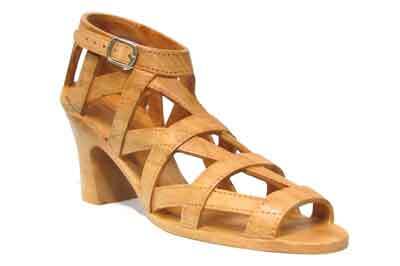 It was agreed that each member would produce a carving of something you would see on the Waterside. 'What has Lawrence of Arabia - T.E. Lawrence - got to do with the waterside?' I hear you ask - well, he was involved in the development of RAF marine craft with Mr. Scott-Paine in Hythe in the early 1930s. The carving itself now takes pride of place hanging in the nearby Hythe Library, it is well worth seeing if you are in the area. Once a year, members are invited to compete with one another by entering their carving in a competition, judged by their fellow members, to see who shall be acclaimed trophy winner for that year - always a keenly fought contest with many of the carvings kept 'under wraps' until the day. We also have an annual 'Block Competition', where we each receive identical lime (Tilia vulgaris) blocks of 100 x 100 x 150mm and are asked to turn them into carvings based on a theme, which has previously been voted on. Again, these are judged among ourselves and it's always surprising to see just how different interpretations can be. All in all we are a happy, contented bunch, always on the lookout for new members - preferably of the younger element - but that is the hope of many organisations today. We can all dream, can't we!